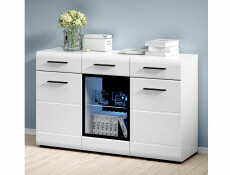 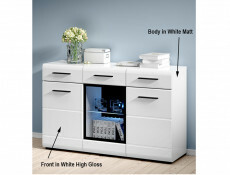 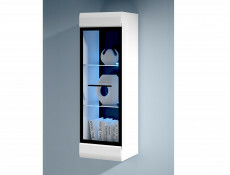 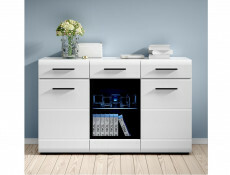 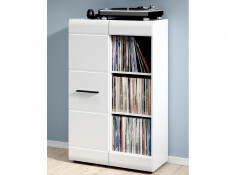 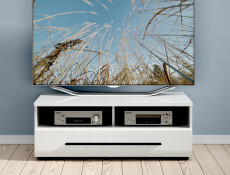 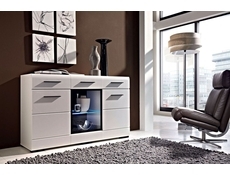 Wide display glass cabinet buffet sideboard in White Gloss or Oak from FEVER furniture range. 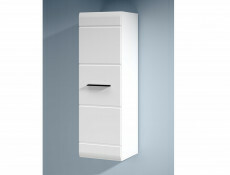 2 drawers along the top. 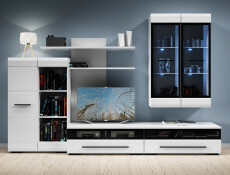 3 doors along the bottom with a part glazed middle door and horizontal groove detail on the 2 solid doors to match the position of the interior shelves. 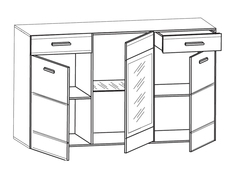 Shelving insert behind each door. 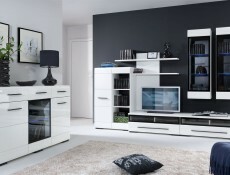 Striking black handles and low profile feet along with black framed edging on tinted glass and black interior back walls on all display furniture items available in this modern collection, create a unique and elegant atmosphere to any living area. 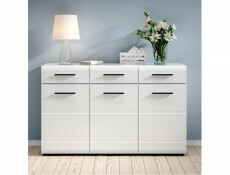 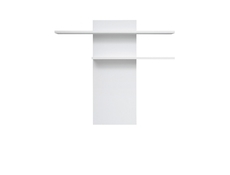 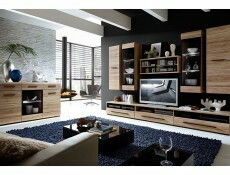 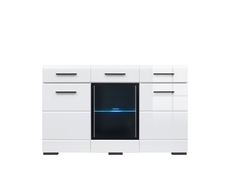 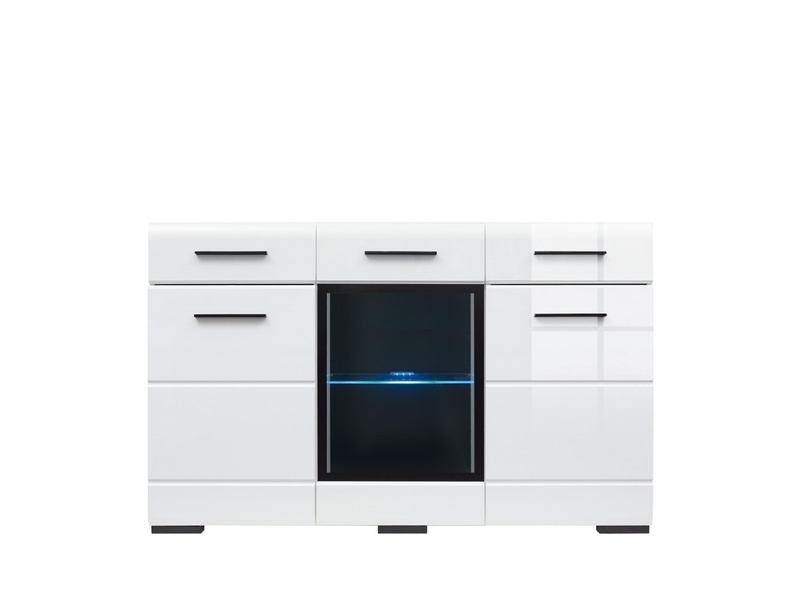 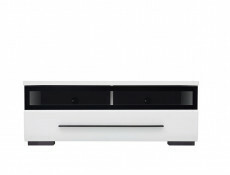 Available in two colour options of White bodies with White High Gloss facades or Sonoma Oak bodies and facades.